Pistol caliber carbines have graced the hands of pragmatic shooters since the dawn of the self-contained cartridge. They saw heavy use during the settlement of the American West, as ranchers and outlaws alike saw the value and convenience of having their rifles and pistols shoot the same ammunition. In more recent times, carbines have been adapted for civilian use from select fire submachine guns like the H&K MP5 and CZ Scorpion. They have also gotten a bump in popularity from the current AR pistol craze. 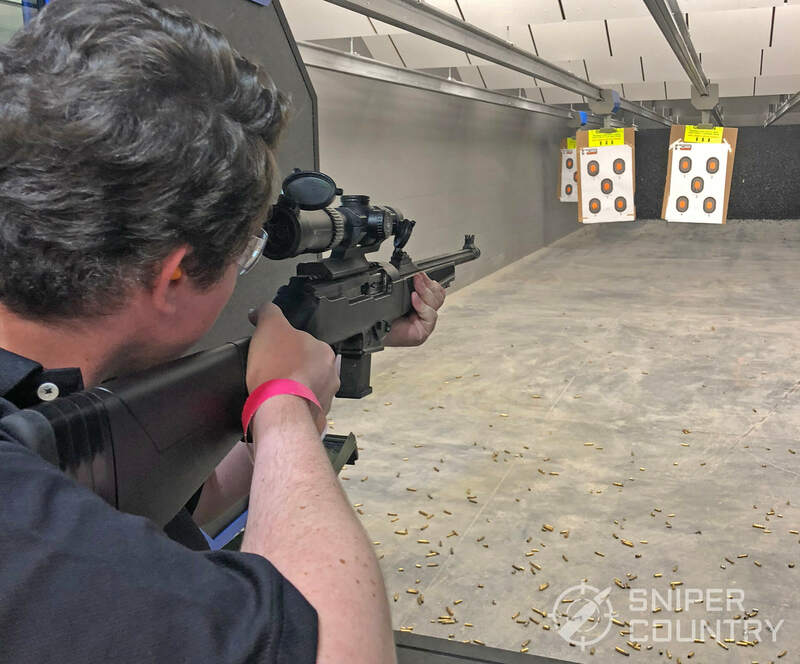 It has helped usher in a new era for PCCs, as many have realized the benefit of having a compact, high capacity rifle, but have experienced the drawbacks that come with typical rifle calibers. For our readers who may be on the fence, here’s a brief rundown of why a pistol caliber carbine is a great choice for your next firearm. The first big advantage PCCs offer is reduced muzzle volume. A standard AR in .223/5.56 is quite loud. 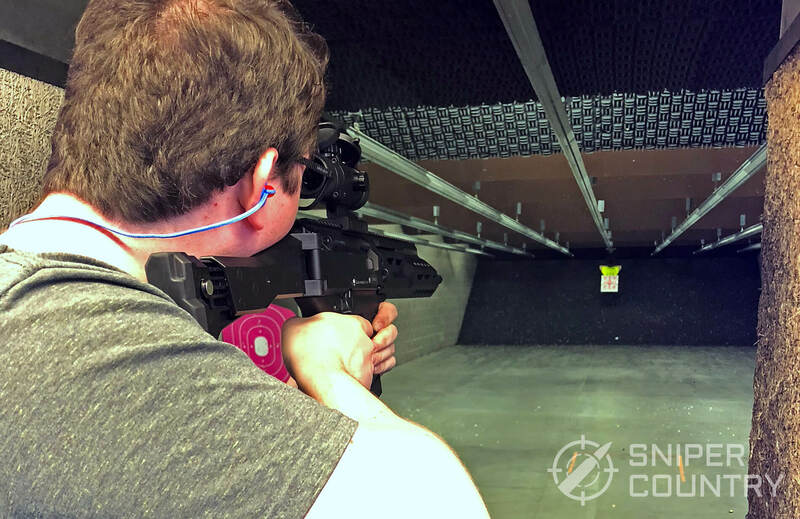 As an SBR, the concussive blast is teeth rattling, as anyone shooting next to one at the range can attest. Even unsuppressed PCCs are much quieter, and when suppressed they’re often hearing safe without any ear protection needed. Many firearm owners have a dedicated home defense gun, and a PCC checks all the desired boxes. It has less recoil than the typical shotgun, making it great for smaller or recoil sensitive shooters. When compared to a pistol, a carbine will provide an increase in accuracy, especially in high stress situations. Having a longer sight radius held closer to your eye makes a big difference. They are also lighter than most ARs, which are quickly becoming a common home defense choice. For range practice, 9mm is cheap and there are many different rounds to choose from to fit your needs. These include subsonic rounds, several kinds of hollow points, light and heavy weight ball, Teflon coated and premium match grade ammo. 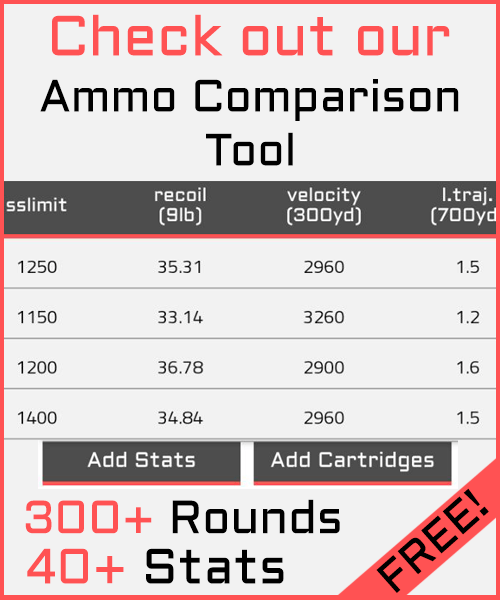 For most pistol rounds, bullet velocity increases as barrel length does. This is especially true with 9mm. This leads to flatter trajectories, allowing for a longer effective range. Most 9mm carbines are accurate out to at least 100 yards. PCCs are also in their own class in USPSA competitions, so those that enjoying competing can use their PCCs for that too. 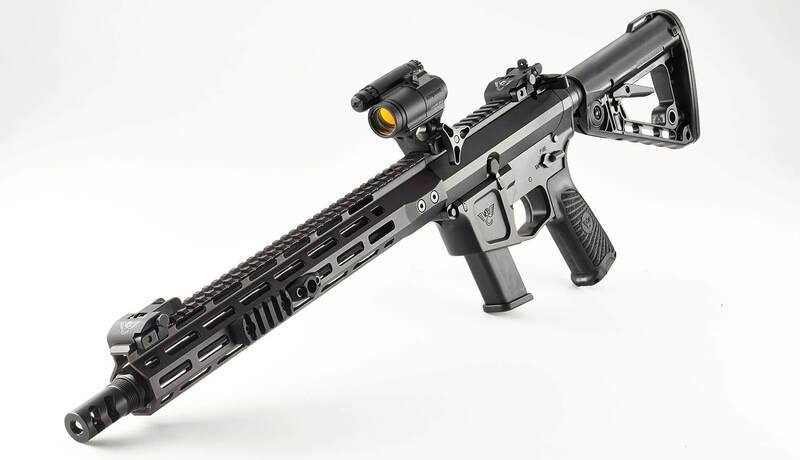 Now, here are the best Pistol Caliber Carbines available, as of 2018. 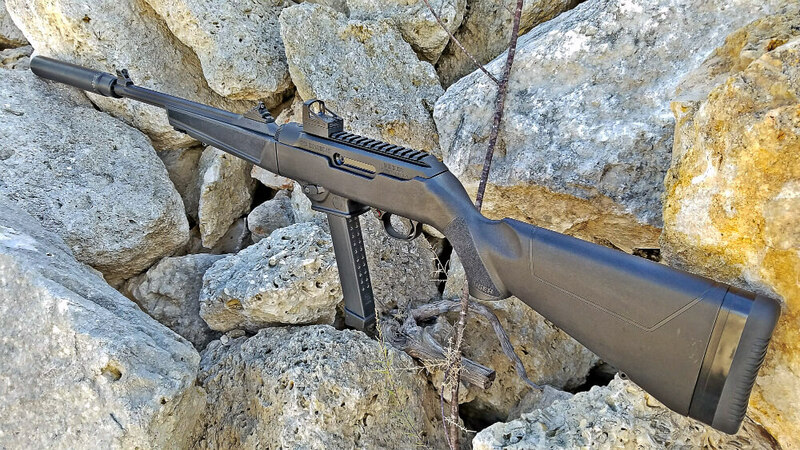 The Ruger PC Carbine is a new offering with an old heritage. It was originally released in 1996 (as the Ruger Police Carbine) but was discontinued in 2007 due to lackluster sales. It was intended to be carried in the back of a squad car and used in situations requiring longer distance shooting, or increased firepower when compared to a pistol. Ten years later, the demand for PCCs has returned and Ruger has brought their carbine back to the market. 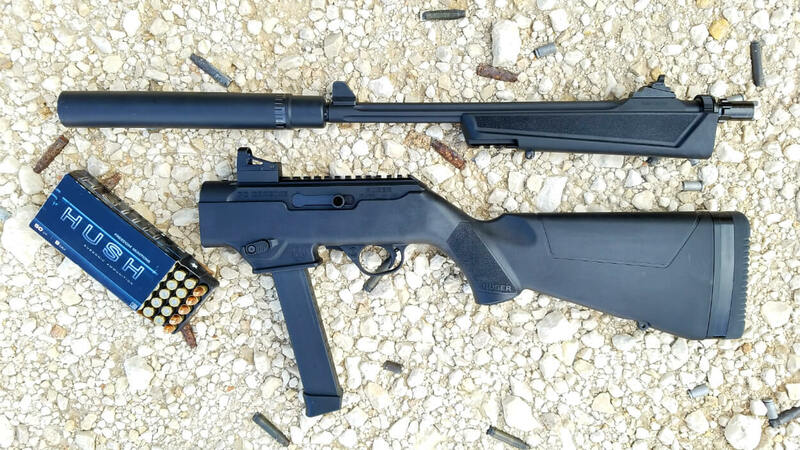 The new version is based on their popular 10/22 and shares a number of components with its smaller caliber sibling, including most of the trigger pack. They aren’t 100% interchangeable, but it does mean a higher likelihood of aftermarket options down the road. Other features include a 16” fluted barrel threaded ½”-28, and a built in Picatinny rail. The fluted barrel is a welcome addition, since it is used to decrease weight and increase surface area for better heat management. Plus, it looks really cool. It has a side swappable charging handle and magazine release, and a quick disconnect for easy takedowns. It is light, weighting in at a scant 6.8lbs unloaded, and has an overall length of 34.37” when fully assembled. It includes three spacers that can be installed between the buttpad and stock to dial in the length of pull for tall or long-limbed shooters. Broken down it fits easily in a backpack, making it a great choice for a bugout bag or for campers who want to carry some extra protection without it being overly visible. No one wants their camping trip to be interrupted by an overly nosey suburbanite. It’s a benefit for backpackers too since it fires 9mm, so less space is taken up per round than .223/5.56. This carbine is a great suppressor candidate, with the dead blow blowback type action there’s less gas blasted back at you when compared to the direct impingement system found on many AR-15s. 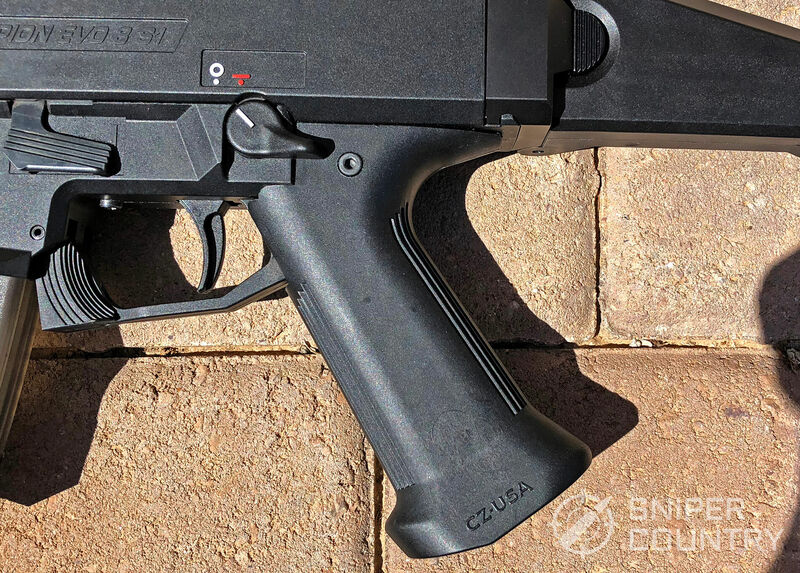 It accepts magazines from Ruger’s SR-Series and Security-9 pistol lines and includes a mag well adapter that will convert it to take Glock magazines. This is a huge perk, even for shooters who don’t own a Glock, as their popularity means magazines are easy to find. Disassembly is quick and easy for cleaning. The PC Carbine can be found in the sub $600 range, making it a great choice for those on a tight budget. If you’re a fan of the classic MP5 look but feel at home with the controls of an AR-15, this is the carbine for you. Released in 2015, SIG touts it as the first submachine gun with a fully closed and rotating bolt and piston system, intended to prevent water or dirt from entering the chamber. This may not be a big problem for the average shooter, but improved reliability is always a welcome feature. It has an ambidextrous magazine release and safety selector, in the same location as a typical AR. The charging handle is in the rear, as you would expect. The carbine has an overall length of 33” and a weight of 7.6lbs. The free-floating barrel is 13.3” with a 2.7” pinned and welded flash hider. This meets the 16” barrel requirements as the flash hider is intended to be permanently attached and is not easily removed. Equipping it with normal 16” threaded barrel would have been a nice option, as removing the flash hider will require a tax stamp unless it is replaced with a different welded and pinned muzzle device that meets the 16” requirement. 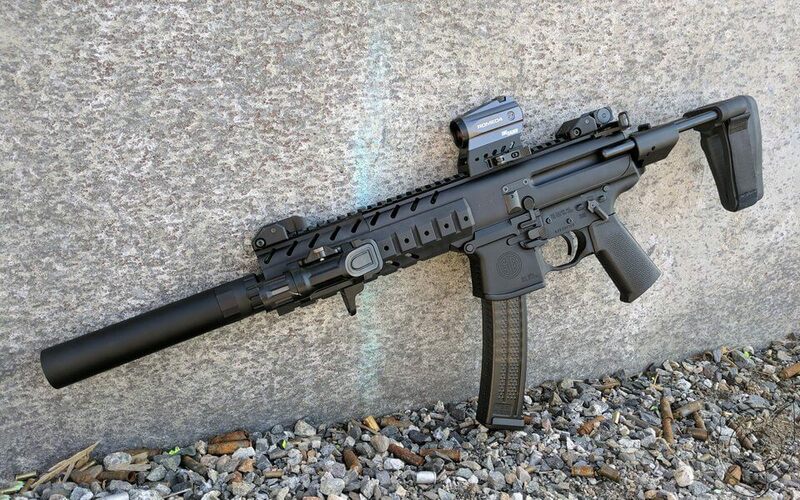 A pinned and welded adaptor for a suppressor would also meet the requirements and prevent the need for two stamps instead of just one (as of the time this is written). It comes with an adjustable stock with three length choices and has a full length KeyMod handguard. This gives you plenty of room to attach optics and doesn’t eat into your hand when firing like standard rails can. The attachment points are on all sides of the handguard, so lights and foregrips are easily equipped too. The included iron sights are quite good, if you prefer to shoot irons. The all metal construction feels solid in your hands, and it is a joy to shoot. 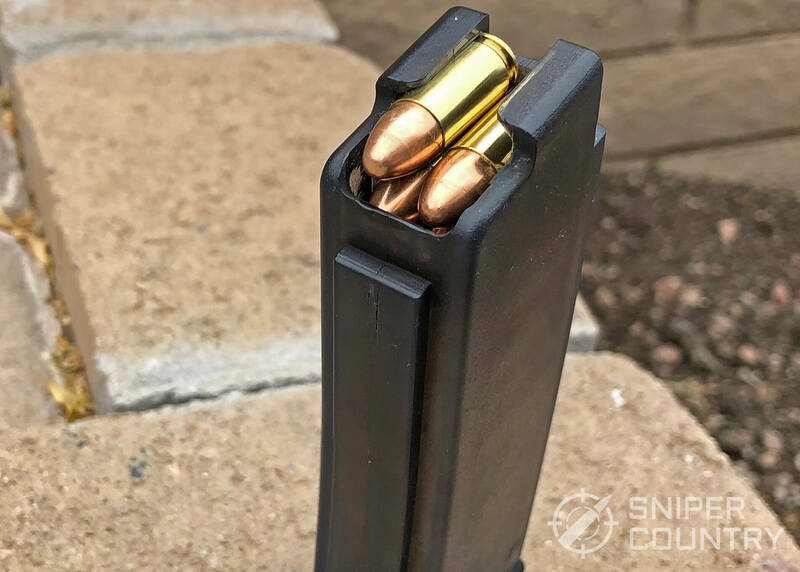 The trigger is just the right weight for quick, accurate firing, and the gas system is designed to operate with 9mm rounds of any weight with no adjustment needed. Since this is a popular competition gun, it has a large aftermarket parts selection to customize it however you see fit. The trigger feels great as is, but it will take standard AR trigger groups too if you have a favorite, or just like to experiment. It comes with one 30rd magazine. Tear down is similar to most ARs and should feel familiar when cleaning. The MPX is an attractive choice that blends an MP5 with an AR-15. It is made by a company known for quality and has been battle proven. Its only real detractor is a tendency for gas to blow by the charging handle when shooting, especially when shooting suppressed. Since the charging handle is a smaller size than a typical AR, none of the drop-in solutions will fit, but there are MPX specific charging handles in the works intended to mitigate the problem. 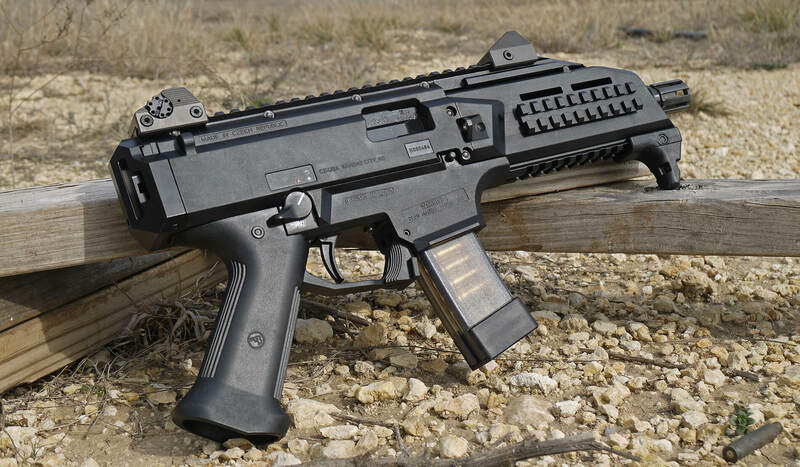 This is a nitpick more than anything and doesn’t prevent us from recommending the MPX as a great 9mm carbine. Sig lists it at just over $2000, but it can be had around $1700 online. 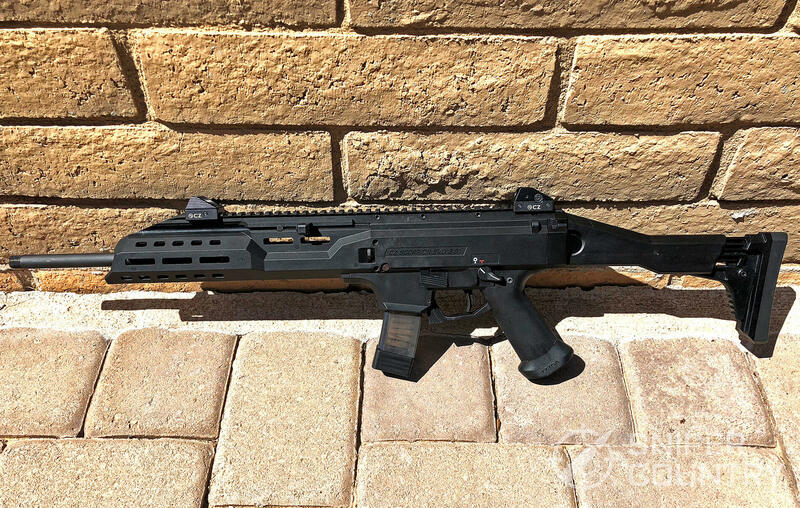 The CZ Scorpion is a fantastic multi-role carbine and is our pick if you’re a suppressor junkie. It works reliably when suppressed, it’s durable enough for competition, and it folds down to a small size. The name may sound familiar since the Scorpion has existed in several forms since its creation in 1961, though the current generation (EVO 3) shares no mechanical similarity with its predecessors. Select fire EVO 3s are in use with several militaries around the world, and the semi-automatic variant came to the civilian market in early 2015. It features an adjustable trigger reach, an ambidextrous safety and an ambidextrous magazine release. The charging handle is swappable to the right side, and is non reciprocating when firing, so your thumb won’t get in the way if your preferred hold is close to the mag well. The handle is pulled back and up to lock, which means to close the bolt you can do the H&K slap, which is almost as much fun as shooting it. The handguard is covered in M-Lok attachment points and is long enough to fit a variety of lights and foregrips. When firing it is noticeably light, even for a carbine, coming in at just 7lbs. This is due to its polymer construction, which has been shown to be very durable. The top rail is also polymer, but its fit and finish are so good that it isn’t immediately noticeable. I wouldn’t be too worried about any attachments chewing it up either. It has a 16” barrel topped with a faux suppressor or a muzzle brake, and an overall length of 34.75”. The faux suppressor model has a hollow suppressor that covers the normal 16” barrel underneath, and threads onto the tip. It is for looks only and can be removed while maintaining compliance. The muzzle brake model is functional, and does a good job reducing the already minimal recoil. Both the faux suppressor and muzzle brake variants have 1/2×28 threaded barrels, so muzzle options are plentiful and can be swapped on with minimal effort. The stock is very sturdy and locks into place with an audible click. It is adjustable, with three options for length of pull. When folded, the overall length drops to 24.5”, and is designed to be operable that way, should you desire to do so. It has a magnet towards the very end of the stock, which is intended to keep the stock against the side of the gun when shooting with it folded. This is nice feature since it prevents the stock from getting in the way, and the magnet is pretty strong. It does have a tendency to grab onto anything magnetic though, so keep that in mind if you wear earrings. It’s at just the right height to get caught when shouldering, and I had to gingerly move it off of a friend’s ear after letting her try it at the range. This carbine is a good choice for suppression as is, since the charging handle and chamber are closer to the front of the gun. They’re much further away from your face than a typical AR, and the closed bolt design means your support hand won’t get covered in powder residue. It uses a basic dead blow action, so there’s no gas system to worry about when changing bullet weights. The trigger pull is pretty heavy, at around 9 lbs, but aftermarket trigger kits are available to reduce it and are fairly inexpensive. It comes with two magazines, and some fantastic iron sights. The rear sight is four way adjustable, so you can choose how wide or narrow of a ghost ring you prefer. Similar to the Ruger, it is very simple to disassemble for cleaning. It retails at $1066, making it a fair amount less expensive than the MPX, and a fantastic do it all carbine. Read the full review here. This carbine is the cream of the AR crop, and sets the bar for all other ARs chambered in 9mm. Wilson Combat should be a familiar name to most firearms enthusiasts, and they are known for customizing and building high-end 1911s. They supply handguns to Delta Force soldiers and Navy SEALs, which is a pretty impressive endorsement. They now offer a wide variety of rifles and shotguns too. Their AR9 is a perfect blend of AR components and 9mm specific features. What I find most impressive is how closely it functions to a typical AR externally, while using the superior (for 9mm) blowback action found on other carbines. It is offered in two barrel lengths, and two options for magazine compatibility. The 14.7” barrel is fluted and comes with their Q-COMP Flash Hider pinned and welded to meet the 16” barrel requirement. Both it and the 16” barrel are threaded 5/8”x24, and the 16” barrel is offered as fluted or nonfluted depending on your preference. The Q-COMP Flash Hider included on the 16” barrel is easily removable, should you want to swap on a different one, or add a suppressor. It is impressively light, coming in at 6lbs 1oz for the 14.7”, and 6bs 4oz for the unfluted 16”. The fluted 16” barrel should be somewhere between the two. It is designed take either Glock or Beretta magazines, but the lower receiver and magazine well are milled for each one specifically. You need to choose which you prefer at the time of purchase, and there is no adapter if you want to switch down the road. his may seem like an inconvenience, but I consider it worth it since having a specific design for each magazine should mean reliable feeding. Both Glock and Beretta magazines are easy to fine too, so it’s not too much of a sacrifice. The carbine has an overall length of 32.75” and has a full-length M-Lok handguard. The stock is wobble free and lockable at any point in its travel, rather than having two or three preset engagement points. It’s a nice system, and the cam lock is beefy enough for me to not be concerned about it wearing out. They are available in several different Armor-Tuff finishes, as they call it. The controls are identical to a normal AR, and is compatible with standard AR grips, triggers, charging handles and buttstocks. The trigger included is two stage, with a 4.5lbs pull. It feels great, and it makes long distance shooting a breeze. It’s a bit too light for run and gun style competitions in my opinion, but it comes down to personal preference. Since it uses the closed bolt blowback design, there’s no gas to blow back at you over the charging handle like the MPX if you do decide to put a suppressor on it. With Wilson Combat you do have to pay to play, and it comes in at right around $2000. Originally developed in 5.56, the Tavor was intended to replace the M4 as Israel’s standard issue rifle, and it succeeded. It has a unique bullpup design that allows for a full-length barrel in a small package and has a similar action to the one used in the AK-47, which is known for reliability. Durability was a major consideration in its design, and it is waterproof for all your aquatic needs. The 9mm chambering was originally released as a submachine gun conversion kit for existing rifles and was offered as a complete carbine in the US in 2014. It’s been available in Canada since 2008, but got held up by our wacky US import laws. The action in the 9mm version was converted to a more basic blowback design, but it is still housed within the same body as the gas operated rifle version. It is offered in two variants, the SAR and the X95. Both are ambidextrous. It can also use UZI magazines, which is a plus. The SAR came first and has a charging handle at the very front of the handguard. It has a full length top rail and a shorter side rail at a 45-degree angle, opposite the charging handle. The sides and bottom are textured for increased grip. 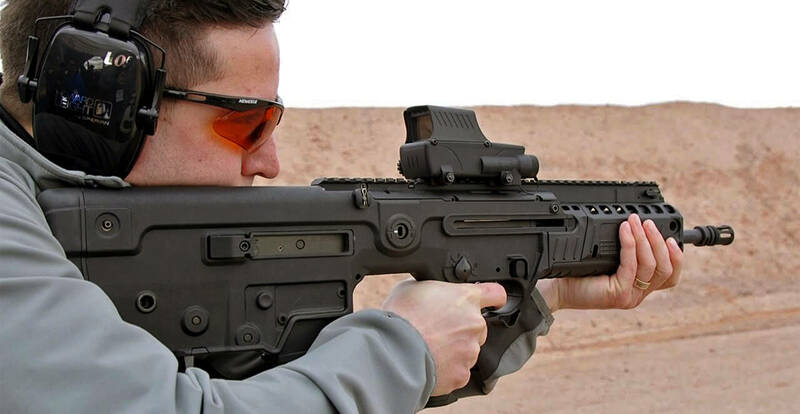 The X95 improves on the SAR, with a new charging handle location closer to the shooter. The trigger weight is reduced, and rails have been added to the bottom and sides, with included rail covers. The controls have moved to feel more natural for AR shooters, and you’re right if it’s starting to seem like that’s a bit of a trend. Both models have a 17” barrel, threaded ½”x36 with a flash hider installed. Weight comes in at 7.9lbs. This is a bit heavier than the other choices, but its compact size helps negate the weight penalty. The overall length is 26.125” making it the shortest carbine on our list. For this reason, and its durability, it is increasingly common in competition shooting. It isn’t designed for it outright though and takes some modification to be on the same level as more dedicated competition builds. Shooting the Tavor is a unique experience. The controls are easy to reach, but the rear magazine location does take some getting used to. For people with longer arms, like myself, it can feel a little cramped if you’re used to shooting a longer carbine. It is easy to tuck into yourself though and is very quick to aim. Disassembly is much less complicated than it looks, and a cleaning rod is included. It ships with one 32 round magazine, and retails at $1749. If bullpups are your style, and you want a carbine deemed superior in design to the M4, this is a great choice to add to your collection. With a market full of good carbines, from AR-15s chambered in 9mm to dedicated platforms like CZ’s Scorpion and Ruger’s PC Carbine, there has never been a better time to add a PCC to your collection. Ken has a passion for writing and a love of all thing mechanical. He is currently studying towards a degree in Aircraft Maintenance and spends his free time working on his track car and mountain biking. 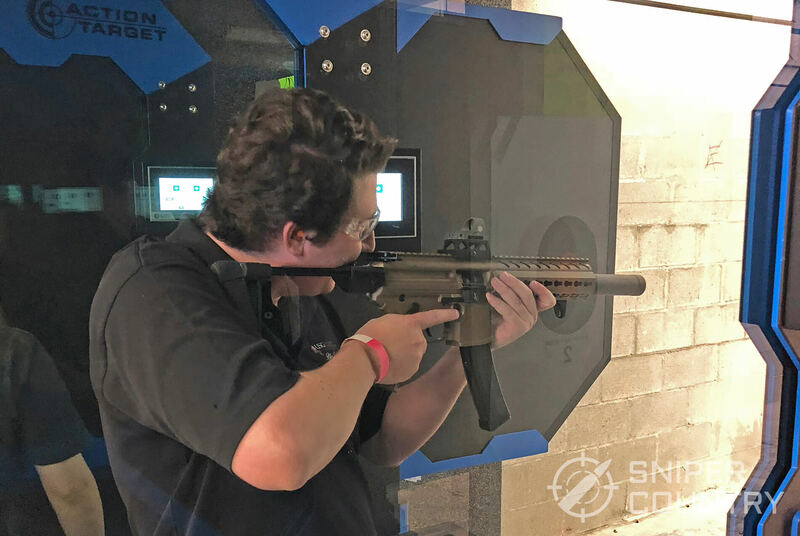 As an Arizona native, Ken loves to escape the desert heat at the shooting range. He is particularly interested in the advancement of gun technology over time. 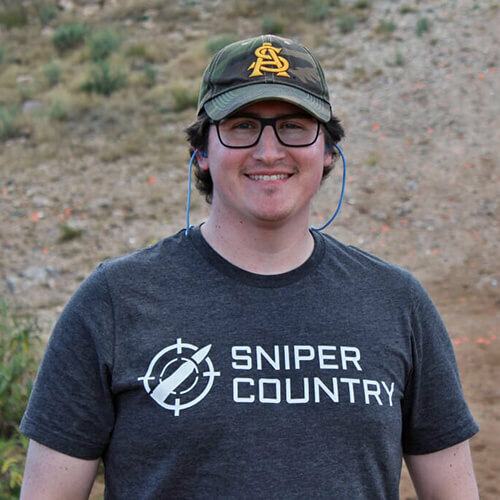 He has a bachelor’s degree in English Literature, and applies what he learned to researching and writing about interesting topics in the world of firearms. I’m surprised the Beretta cx4 Storm is not here. I’ve always found it to be a handy, reliable and capable carbine, ad you can find them for a little north of $500. How long have you had your Storm? How many rounds ya reckon has been run through it? Hi Chuck, I’d say well over a year now. Anytime I head into the wilderness or just to the range it definitely comes with me. I’ve only put maybe 600-700 rounds through it, but those 600 rounds are from half a dozen manufactures, with widely varying quality. So far, I’ve had 100% success rate with whatever I throw at it. There’s also a growing secondary market for the cx4 if that’s your cup of tea- Sierra Papa is really doing some interesting things. Personally, I’m perfectly happy with it right out of the box. Hope this helps!